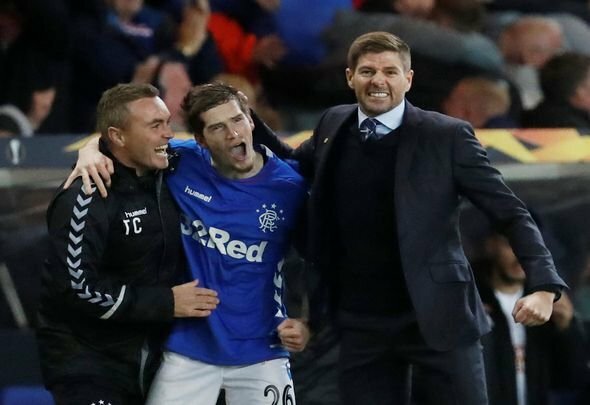 Liverpool youngster Ryan Kent has enjoyed an excellent season on loan at Rangers, and it would be best for all involved if the 22-year-old remained in Glasgow on a permanent basis. It’s clear that he is enjoying his football under Steven Gerrard and is progressing as a result, but is there really any chance that he’s going to become an important member of this Reds squad? Probably not. He’s a talented footballer and he’ll likely enjoy a fine career, but Liverpool Football Club is for the absolute cream of the crop. Kent, for all his quality, is probably never going to be quite at that level. It would be best for him and his development for him to sign for Gers permanently when his loan deal comes to an end. He can continue to be an important first team player for a club that values him, not merely another youngster continually farmed out on loan as he is at Anfield. The harsh reality is that when Kent and Harry Wilson return to Merseyside from their respective loan spells at season’s end, it’s the Welsh international who is most likely to kick on and become a first team squad member under Jurgen Klopp. Kent has made steady progress this campaign, but Wilson has been spectacular. He has shone for a very good Derby County side, playing at a higher level than Kent has been at Rangers. So with the Englishman unlikely to ever make the grade at Anfield is it fair to keep hold of him? It will be far better for everyone involved if he continued his career north of the border.